Having a diverse search committee, comprised of various levels, backgrounds and types of employees from both minority and non-minority backgrounds brings multiple perspectives resulting in the best possible candidate pool. If you plan to use a search committee for your opening, ensure that you create a diverse committee. All RIT employees will by default have access to the Career Zone Manager portal application; however, unless you add them to your requisition team, they WILL NOT have access to your requisition and the corresponding applicants. All employees who should have access to reviewing applicants (including the hiring manager and req creator) should be added to the search team section of the requisition. If the search committee is not confirmed prior to requisition being approved and posted and members need to be added, you can add them by using the instructions here. You can also email staffrec@rit.edu. 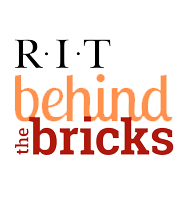 Should you receive any candidate applications directly, please direct them to fill out the on line application at: http://careers.rit.edu so that they are part of the applicant pool.